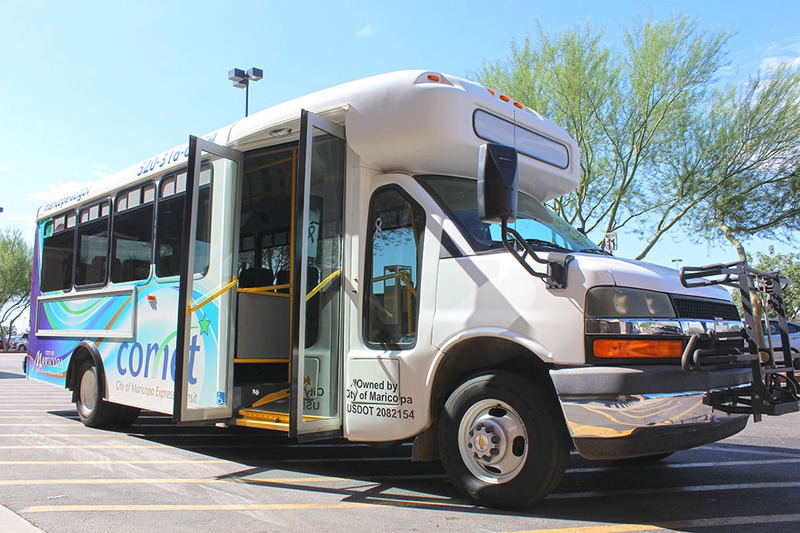 The City of Maricopa Express Transit (COMET) has announced the Route Deviation Service (circulating bus) will increase to a full daily schedule beginning Monday. The new hours for the continuous service will be from 7 a.m. to 5:30 p.m. Monday through Friday. Since its inception in 2015, use of the COMET transit line has steadily increased and currently serves eleven high demand bus stops. Long range plans for the transit line will add feeder shuttles to connect all residential neighborhoods to bus stops on the core circular route in the city, making it possible for anyone to get from their neighborhood to a bus stop. For any resident unable to get to a bus stop, the COMET Demand Response (Dial-A-Ride) remains available on a reservation basis. Long range plans for this service potentially includes connection to the Central Arizona Regional Transit (CART) system (currently operating between Florence and Casa Grande) and the Valley Metro system in Phoenix. All other existing COMET services will remain the same. The cost to use the Route Deviation Service is $.50 per boarding (each time you get on the bus). The cost for using the Demand Response (Dial-A-Ride) is $1 one-way or $2 round trip. All COMET services are open to the general public, and our vehicles are Americans with Disabilities Act (ADA) compliant. COMET drivers are also trained in ADA procedures. For more information about our public transportation system, please visit the City Of Maricopa website at www.maricopa-az.gov.